The Ebonyi story reads much like the text of a modern epic. It is the story of a people who found themselves at the receiving end of history and their heroic efforts to change the debilitating circumstances of their existence by taking their destiny in their own hands. Like Ebonyi River, from which the State took its name, the history of Ebonyi State is the history of motion and movement, whose tidal flow maintained a continuum in and out of seasons. Historically, the geographical area today known as Ebonyi State is formerly a part of the old Ogoja Province which had Abakaliki as a government station for the administration of the surrounding localities in the then Eastern Region. With Nigeria’s independence in 1960, the area attained a Provincial status comprising of three Divisions namely: Abakaliki, Afikpo and Obubara. Following the splitting of the former East Central State into Imo and Anambra States in 1976 by the Federal Government of Nigeria, Abakaliki Province was balkanized into two with Abakaliki Division as an appendage of Anambra State while Afikpo Division was attached to Imo State. In 1991, another State creation exercise took place, giving birth to Abia and Enugu States within the Igbo heartland. On account of that exercise, the Local Government Areas, which constituted the former Abakaliki Division, were placed in Enugu State while the ones in the former Afikpo Division were made part of Abia State. That was the situation until October 1996 when Ebonyi State was created, thereby bringing back together brothers and sisters from the old Abakaliki Province who were scattered in the wilderness by the circumstances of history and politics. Today, Ebonyi has become the proverbial stone rejected by the builders, which turned out to be the cornerstone. Created on 1st October, 1996 by the then Federal Military Government of Nigeria under the late Gen. Sani Abacha, Ebonyi State is located on the southeastern axis of the Federal Republic of Nigeria. The motto of Ebonyi State is “Salt of the Nation.” The State occupies a landmass of approximately 5,935 kilometers with a population of over 2 million people. Ebonyi is physically bounded to the east by Cross River State, to the north by Benue State, to the west by Enugu State and to the south by Abia State. The vegetation of Ebonyi State is a mixture of eastern prototypes comprising of semi-savannah grassland with forests and swamps. Being in an agrarian area, the people of Ebonyi State are predominantly farmers. The State is also richly blessed with numerous solid mineral resources spread across all parts of the State. 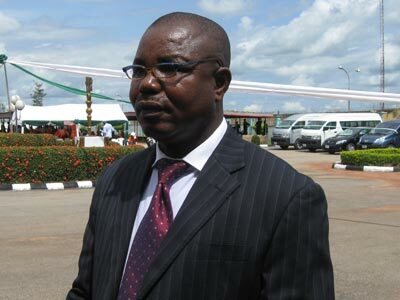 Upon the creation of Ebonyi State in 1996, its first Chief Executive styled Military Administrator was Navy Captain Walter Feghabo (rtd), who pioneered the setting up of the physical and administrative structures for the development of Ebonyi State. He was succeeded by a Police Officer, AIG Simeon Oduoye in 1998. With the return of democracy in Nigeria in 1999, Oduoye made way for the first civilian Governor of Ebonyi State, Dr. Sam Ominyi Egwu. After 8 years in the saddle, Dr. Egwu was succeeded by Chief Martin Nwancho Elechi in May 2007 riding to power on the crest of reform and consolidation. Remarkably, Chief Elechi’s emergence as the State’s helmsman represents of the those symbolic coincidences of history given that he was the arrow-head of the struggle for the creation of Ebonyi State spanning a period of 39 years. Ebonyi State has 13 Local Government Areas and 77 Development Centres. The State has a 24-member House of Assembly now headed by Barr. 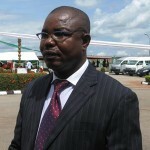 Augustine Nwankwegu as speaker, 6 members in the Federal House of Representatives and 3 members in the Federal House of Senate representing the three senatorial zones of the State. The State has a functional and vibrant judiciary headed by the Chief Judge, Justice Aloy Nwankwo and complemented by the President of the Customary Court of Appeal Justice Ekumankama and their associate judicial functionaries. The author, Ken Uhuo, is the Special Adviser to Governor Elechi on Attitudinal Change and former Commissioner for Information. Ken has been a contributor and enthusiastic fan of EbonyiOnline.com from its early days.